Awards more than $100,000 a year in education scholarships to SNA members? Has given millions of dollars in grants for Breakfast in the Classroom (BIC) programs through administration of a grant from the Walmart Foundation? Supports SNA’s public relation efforts through the “Invest in Us” endowment fund? Develops programs that address child hunger and food insecurity? 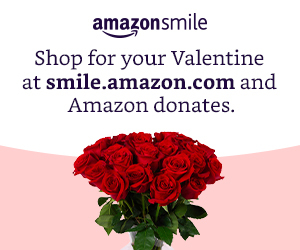 Can raise money through your purchases at the AmazonSmile Foundation Program? That’s right – THE Amazon – will donate 0.5% of the price of eligible purchases to the charitable organization you select – in this case, SNF! There is no cost to you or to the Foundation. All you have to do is go to smile.amazon.com/ch/84-6039412 and, once your selection is made, every time you purchase something through the AmazonSmile Program, SNF will benefit. It’s. Just. That. Easy to give back to the Foundation whose mission is to give back to you.